When you find yourself in a rut at work, nothing can turn your mood around like a little happy hour... until you use that move so many times that you begin to even find yourself in a rut when it comes to where to go for happy hour. WHAT THEN?! Luckily, these nine San Diego establishments have rolled out new ways for you to experience your discounted imbibing. If you’ve spent the entire day slaving away under fluorescent office lights, then step out onto Coasterra’s patio overlooking the bay and let that fresh salt air slap you in the face. If their stunning view of San Diego’s downtown skyline isn’t enough to make you forget about your day then their selection of more than 70 agave spirits might do the trick. Happy g=hour happens Monday through Friday from 3:30-5:30pm in their tequila lounge and on the patio only. 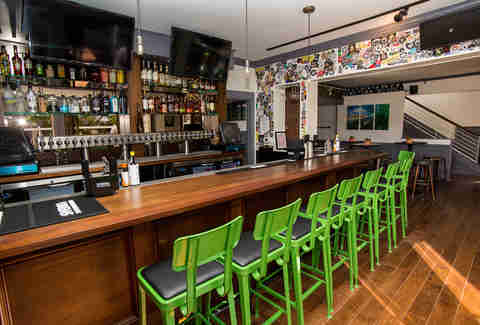 Specials include $7 house wines, $7 specialty cocktails, like their margarita de la casa, Deb’s coconut margarita (made with coconut cream, lime juice, and coconut salt), and sangria. Select craft beers on draft are $5, and appetizers like queso fundido are only $7. Nothing improves a mood like an excuse to eat all the cheese. 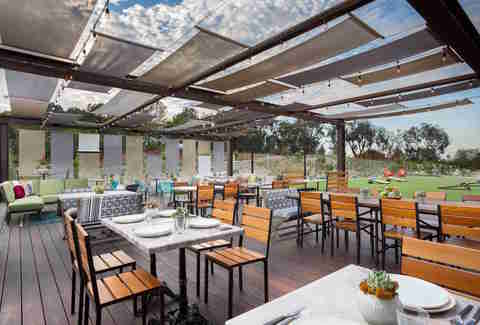 Brian Malarkey’s newest venture opened in June across from the Torrey Pines Golf Course but only just recently launched happy hour specials on Thursdays and Fridays. From 4-7pm come chill around the fire pit and take advantage of specials like $5 wells, $5 glasses of wine, $5 pints of Ironfist Renegade Blonde, $9 personal pizzas, $8 short rib poutine, and $6 beef and ricotta meatballs. 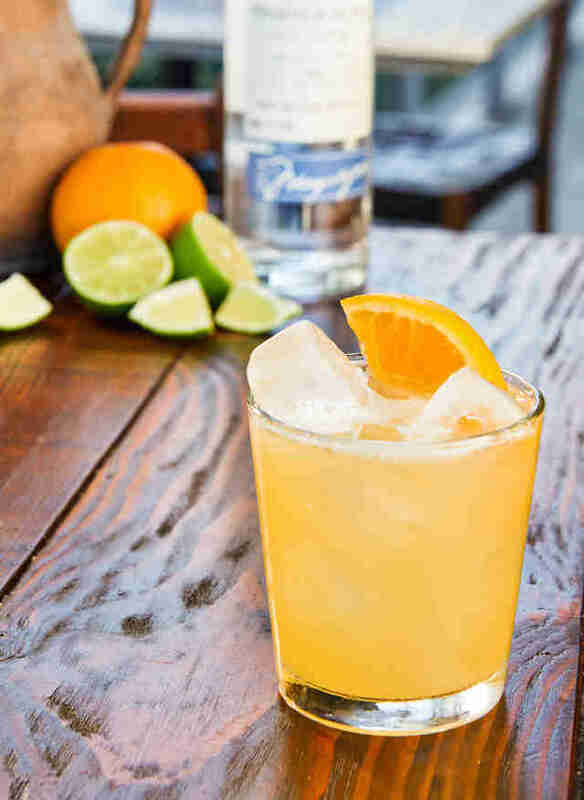 When a day of mind-numbing meetings and conference calls has you daydreaming of a much needed vacation south of the border, you can get a taste of that Baja flavor right here in Little Italy during Bracero’s happy hour. Monday through Thursday from 4-6pm get $2 off the entire cocktail list including their aptly named tequila specialties Sentri Pass and Get a Job, $2 off their selection of wines, and $1 off all beers. Since you won’t be unwinding on a Mexican beach anytime soon, feel free to indulge in some $3 street tacos, $7 TJ Style ceviche and chips, and $7 house guacamole. 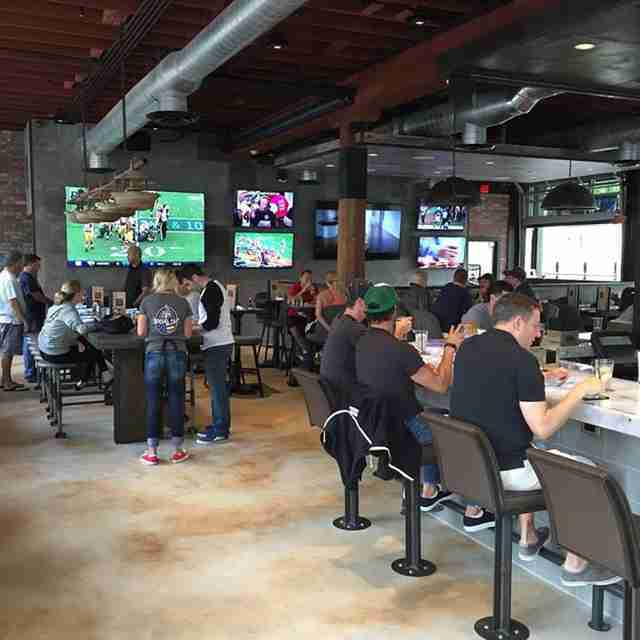 One of the most recent additions to downtown, Crazy Goose has some of the best happy hour deals in the Gaslamp. Monday through Friday from 3-7pm they offer 50% off pretty much everything with alcohol in it, including wells, pints, wines, and bottled beers, not to mention half-off apps as well. This is also the perfect excuse to impress coworkers with your competitive eating skills and attempt TT’s Burger Challenge. You’ll have eight minutes to take down two pounds of Angus beef, 10 strips of bacon, one pound of onion rings, two deep fried pickle spears, cheddar & provolone cheese, garlic aoli, their famous Meet Your Maker hot sauce, lettuce, tomato, and onion, plus a whole pound of seasoned fries. Win or lose you’ll probably be calling in sick the next day. If you manage to pull it off you’ll have office bragging rights for life, not to mention a free meal and your name on the Wall of Flame. If you fail you owe Crazy Goose $45. It could go either way. 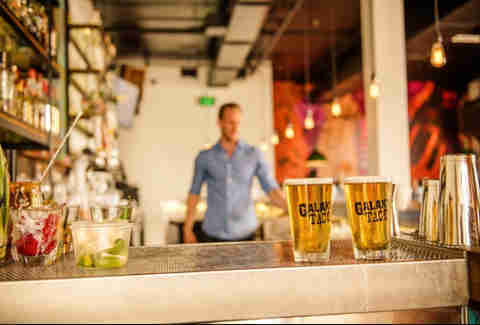 If out of this world Mexican food and a large selection of tequilas sounds like a good time to you then stop by Galaxy Taco Monday through Thursday from 3-6pm. Happy hour specials include $8 classic margaritas, $1 off house wines, extra cold draft Modelo Especial, and Galaxy Corn lager made by Benchmark Brewing. Oh, also $1 off tacos! On Tuesdays you can stick around for their post-happy hour tastings at 6pm. Reserve your spot and for $20 they’ll give you two tacos and the opportunity to refine your palate with tastings of tequila, mezcal, wine or beer with Galaxy’s beverage director Mark Broadfoot. There is no reason that happy hour has to be all about the booze. Swell Cafe, in Mission Beach and Del Mar, has a caffeine happy hour to help you overcome that afternoon slump everyday from 3-4pm. 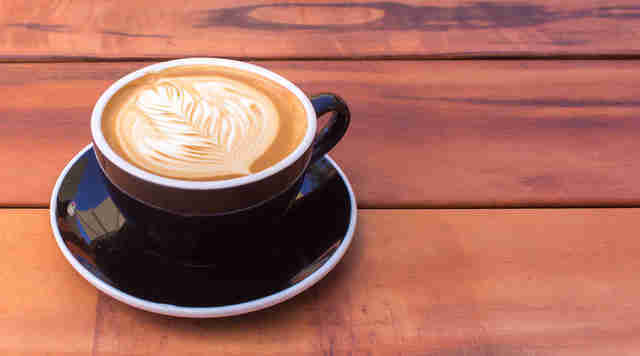 Specials like $1 drip coffee, espresso shots, and cold brew, plus $2 lattes and cappuccinos will make sure you’re extra alert throughout the rest of your workday/possibly unable to sleep that night. 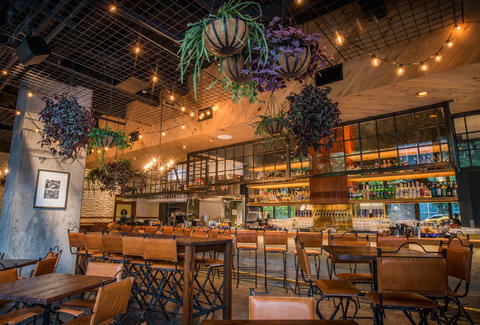 Taking over the Petco Park adjacent space once occupied by Southpaw, Social Tap has Social Hour Monday-Friday from 3-6pm and Sundays from 4-10pm. Well cocktails, beers on draft, and wines are $3-4. Soak them up with everything from $2 tacos to $6 pork sliders. If you have a sweet tooth be sure to drop in on Mondays, and you’ll get a free dessert just for ordering two entrees and two drinks. You deserve a triple chocolate brownie. The Brew Project is a bar devoted to serving the best craft beers San Diego has to offer, and every drop they pour from their 24 rotating taps has been brewed exclusively in America’s Finest City. Happy hour deals run Monday through Friday from 4-7pm with $5 select drafts, and since they also have a full bar you can get $4 wells and $6 draft wines, too. Don’t have time to stick around? Fine then, just pick something up from their on-site bottle shop and make your own happy hour. 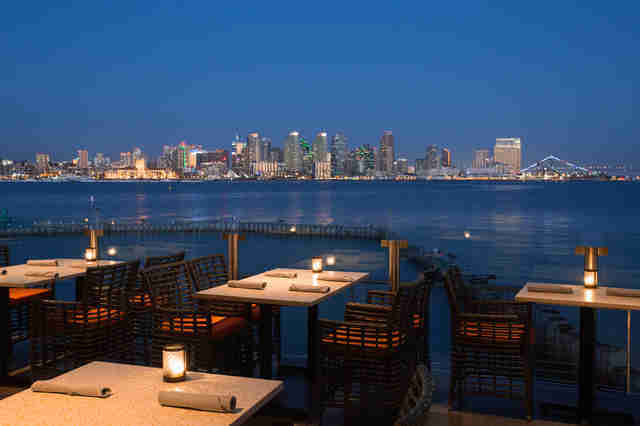 Everyone knows the two best places to drink in SD are on a patio or on a rooftop, and The Nolen has both. This time of year is perfect to catch the sunset during their daily happy hour from 5-7pm. You’ll have the best view in town while perched on the 14th floor rooftop of the Courtyard by Marriott with views overlooking the Gaslamp, Coronado, and Point Loma. You can’t beat $8 cocktails from the ‘Vintage’ and ‘Our Take’ sections of their beverage menu along with $8 flatbreads to nibble on. 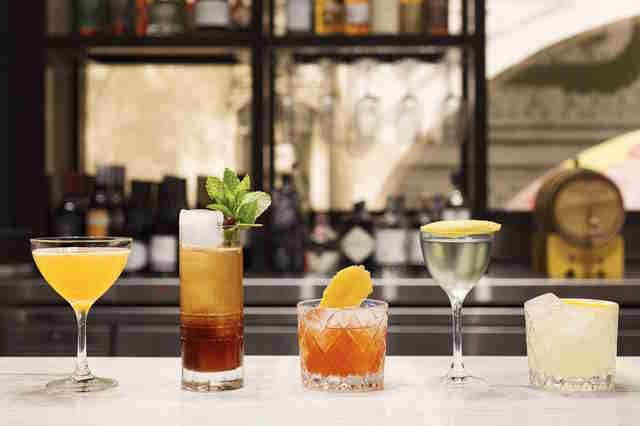 For adventurous drinkers, you can also get $8 dealer’s choice cocktails all day every day. Sara Norris is a freelance writer and photographer who lives for happy hour. Find her on Instagram at @saraknorris.